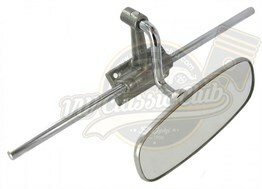 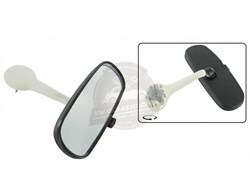 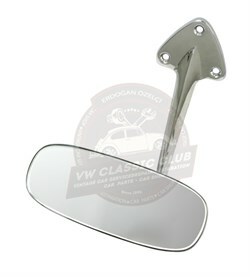 Rear view mirror with white stem. 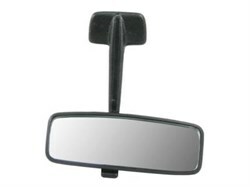 Rear view mirror in black. 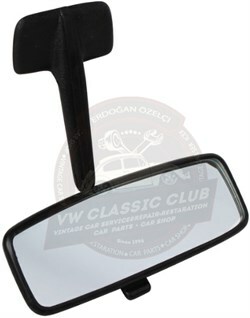 Rear view mirror in black and white.